This week’s topic is a tricky one – It’s the books we love and wish we’d written. As I stacked up the books I loved (which inevitably became a mountain), I quickly realized something. I would never want to have written them because then I would never have been able to enjoy reading them for that first, glorious time. I remember vividly when I nearly tackled the UPS guy as he delivered my copy of HARRY POTTER AND THE DEATHLY HALLOWS. I wouldn’t trade that moment for the world. So with that understanding, I shall proceed with my beloved books list. For the sake of brevity, I’ve limited it five. 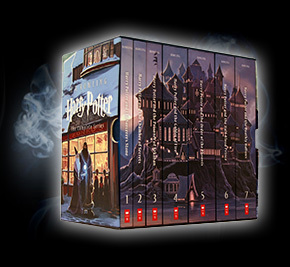 These books are like children, I can’t pick a favorite, though I might skip most of CHAMBER OF SECRETS – except for the final scene when Dobby is freed. That moment is so full of foreshadowing I get teary-eyed every time. Which brings me to one of the many reasons why this is such an amazing series – JK Rowling scatters seemingly innocuous events and details liberally through her series, then they come back to smack you in the face with their importance much later. I’m not going to say anything too specific for fear of spoiling you. I’ll just say, these books hold up with multiple readings. If you did make me pick just one, I’d probably go with ORDER OF THE PHOENIX. It introduced us to ALL-CAPS HARRY, who shouts and is angry and is exactly how a fifteen year-old boy would respond after his nemesis returns, a friend dies, and those he trusts most are avoiding him. Never mind the introduction to one of the greatest villains of all time, Dolores Umbridge. I adore the spine on these relaunched paperback editions. For those who aren’t fantasy fans, this is the official title for Martin’s infamous GAME OF THRONES series (of which GAME OF THRONES is the title of the first book). These books are beasts but so brilliantly plotted and beautifully written. I would love a peek into how Martin keeps track of all the intricate story lines. He takes the nuanced plotting of Rowling and ratchets it up to eleven. And his characters are so complicated and well-drawn that you can’t help but understand even the most vile of villains. Plus, in the midst of the violence and dirt, he creates laugh out loud moments. These really are a master class in writing. This was the book I didn’t know I needed in my life. 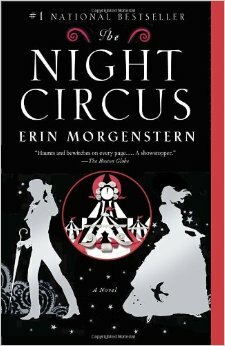 I admit, it isn’t for everyone but Morgenstern weaves magic and mystery so effortlessly as she skips around through the timeline. As a writer, I am in awe at how it fits together. Add to that beautiful writing and a love story. It is so unlike any other book I’ve read. I just finished this late last night because I couldn’t put it down. This is a book that uses letters, faxes, articles, and brief narrative moments to slowly reveal a mystery. This has been done before, and can easily come off as a storytelling trick rather than a treat. But Semple is so good at finding the different voices for each of her characters that each snippet of correspondence feels authentic. Add to that her spot-on humor and characterization plus a perfect ending that feels earned in every way. This leaped to the top of my favorites. When people talk about Rowell, it’s almost always ELEANOR & PARK or FANGIRL, and I do love those books, too, but this one is my favorite. 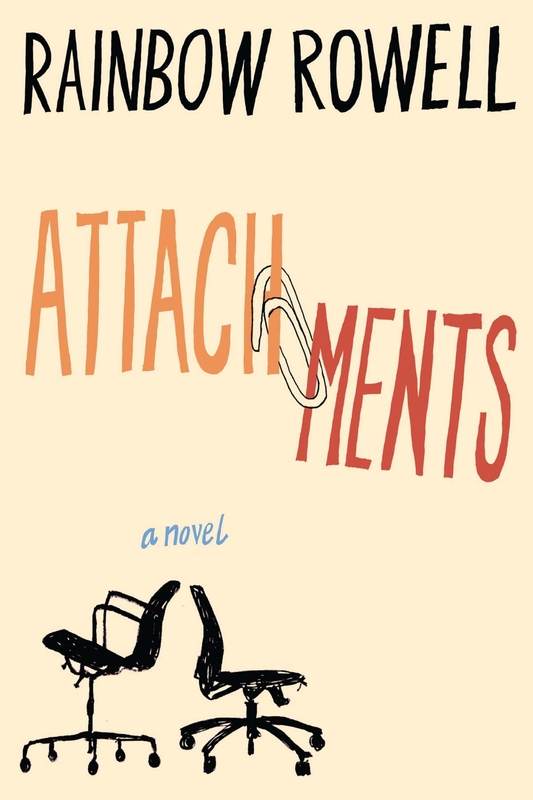 ATTACHMENTS is a light commercial fiction told via emails between two girls, and the IT guy who has to read them. Again, this is another time this set up could feel contrived, but it doesn’t. Rowell uses this method to weave together the plot, using everyday life to flush out full characters. It is exactly the type of book I want to write: funny, heartwarming, honest, and charming. It takes the romantic comedy and elevates it. Yes, it ends happily. Yes, there is romance. Yes, you can probably figure out how it will end. But it’s written so well and the characters are so interesting, that you never want it to end. So, dear reader, what are your favorites? Sound off in the comments. 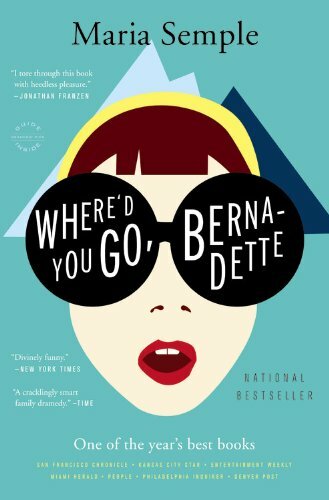 Don’t think I can tackle GOT series, but I’m with you on HP, Where’d You Go Bernadette, and The Night Circus! Plus, love the book hug image — how perfect is that? Cheater!! I didn’t know picking full series of books was allowed!! 🙂 I haven’t read GOT yet, but my hubby is slowly going through them, so it’s on my list. And I’m buying Attachments right now. I’ve been meaning to read it forever and your stamp of approval seals it for me. I’ve never understood the “I love that — I wish I’d written it” thing. I understand the two concepts, but for me they almost never go together. The works of art that amaze me the most are the ones that I would never even think of creating myself. I’m in awe of Pynchon’s Mason & Dixon, for example, but it would never occur to me to write a 600+ page long, faux-historical novel about an astronomer and a land surveyor. I’m happy writing what I do write, and it’s sufficiently challenging for me to try to get better at that. 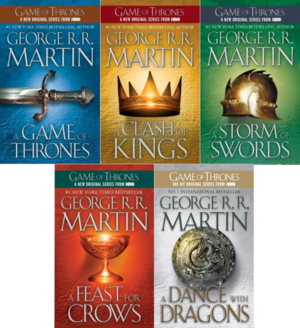 By the way, I read somewhere that a while ago George R. R. Martin hired a fanatical George R. R. Martin fan to keep track of all the details for him. This seems like a very practical idea. That’s a dream right there for someone! Wow. I also love the books I love for the ride they take me on. Knowing how hard you an author needs to work to make these stories seem so effortles, the books I love I love because I didn’t see them in their ugly teenage phases!